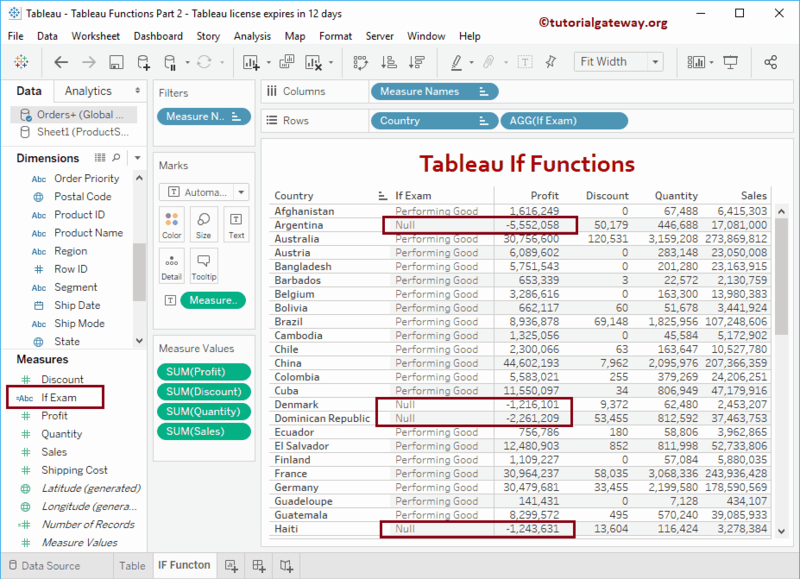 Tableau If Function is one of the most useful decision-making function in report design. If function will test the condition, and depending upon the condition result it will return the output. 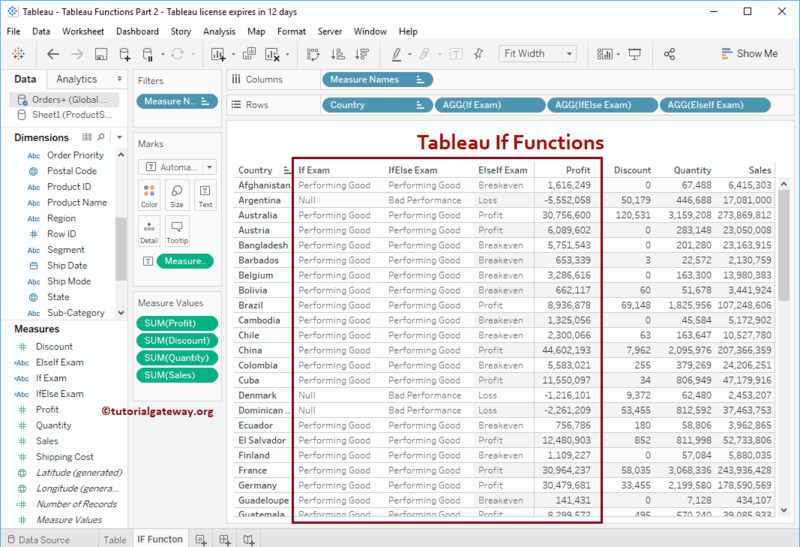 In Tableau, we have three variants of if functions: If, IF Else, ElseIf. 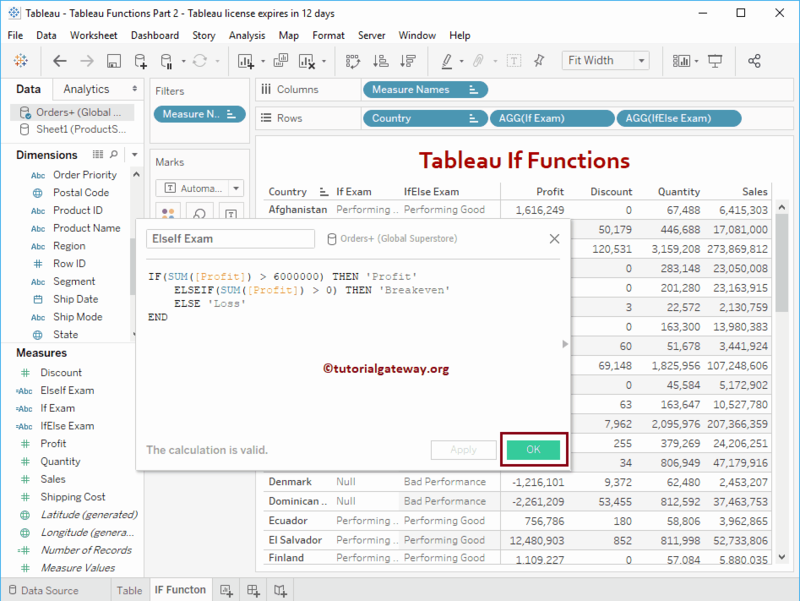 In this article, we will show you, How to use these three functions with examples. 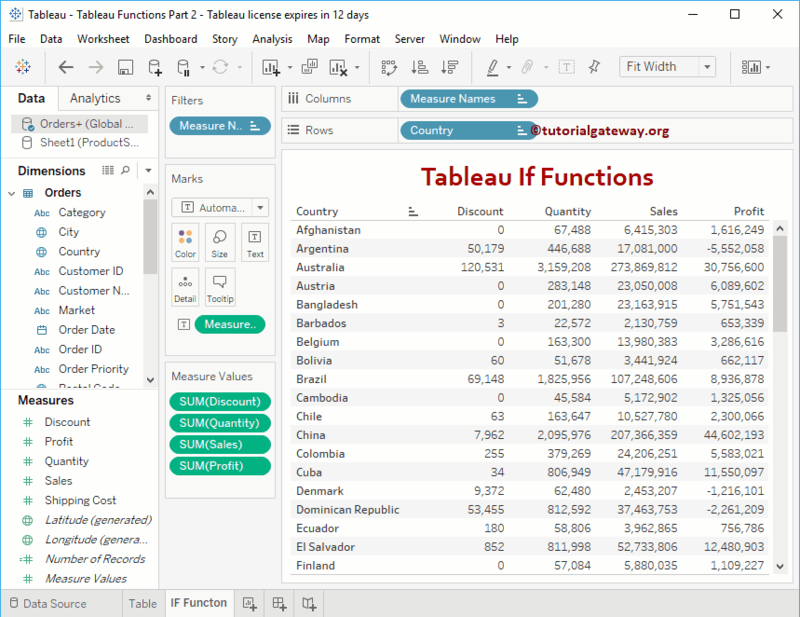 For this demonstration, we are going to use the data present in the Global Super Store Excel Worksheet so, Please refer Connecting to Excel Files in Tableau article to understand the connection settings. 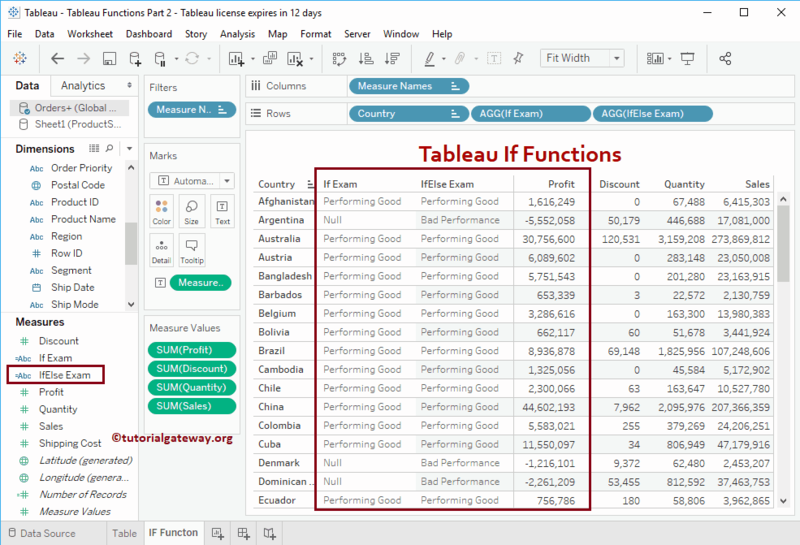 The If statement in Tableau will return the result only if the given condition is True otherwise, it returns nothing. To demonstrate this If function, we have to create a Calculated Field. 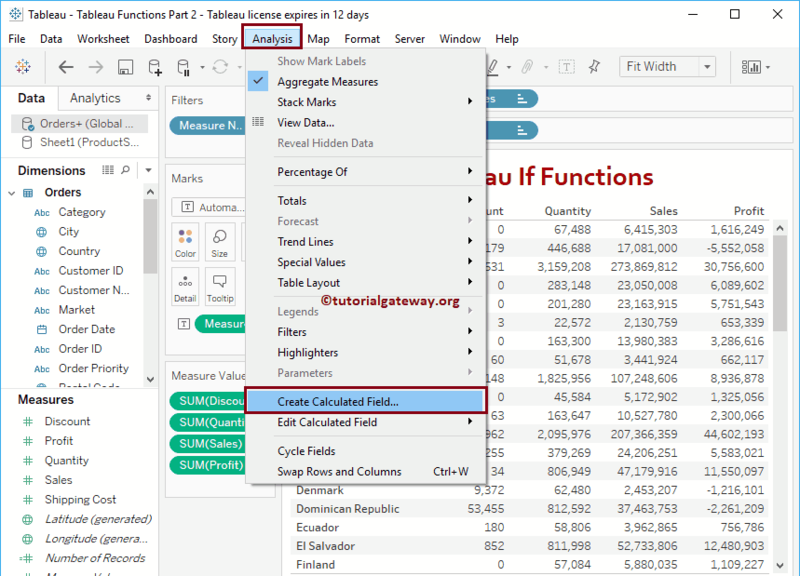 In order to create a calculated field, please navigate to Analysis Tab and select the Create Calculated Field… option as shown below. 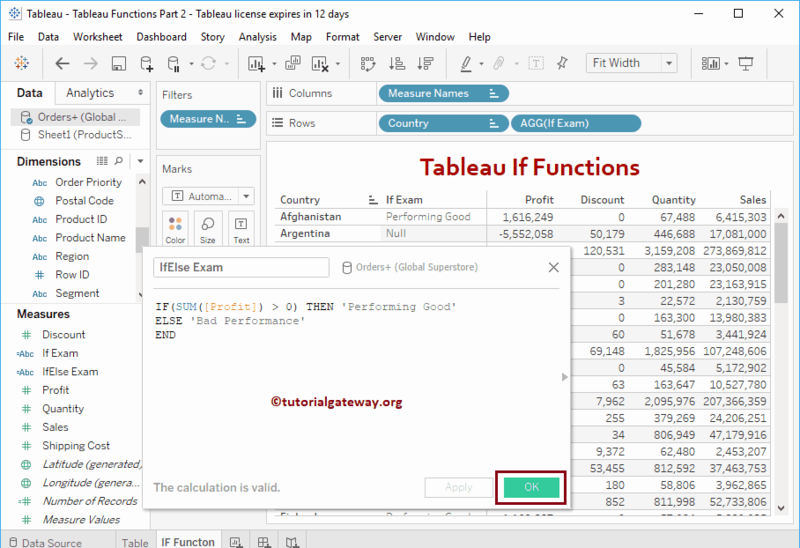 The Tableau If Else function will test the condition. If it is False, statement after the Else keyword will be returned. In this calculation, we are going to check whether the Profit is greater than 0 or not. 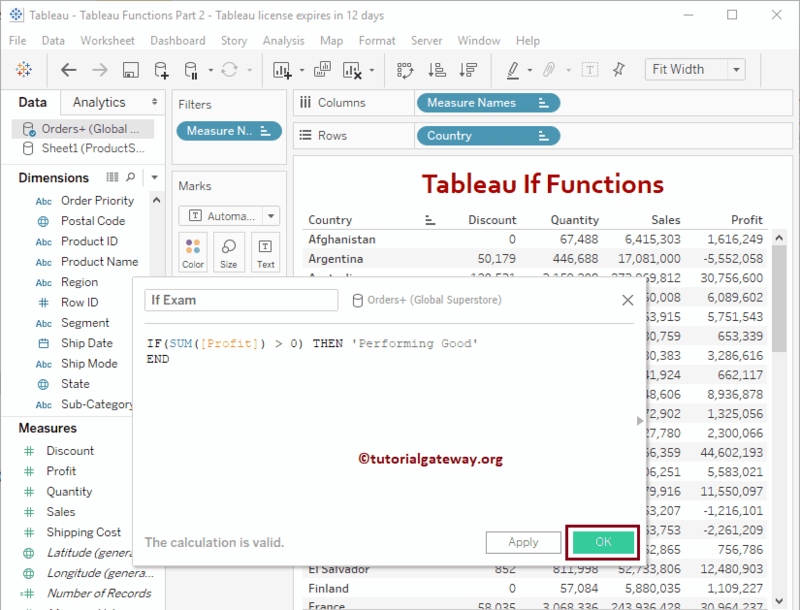 The Tableau Else If function is very useful to check multiple conditions. Remember, ELSE IF conditions will only be executed if its previous IF or ELSEIF statement fails. If the condition is TRUE then it will execute the statement after the THEN keyword. If it is FALSE then it will check the Next one (ElseIf condition) and so on and so forth.